When it comes to doing your research, don’t procrastinate! Figure out where you want to eat and then make your reservations for table dining well in advance of your trip. We were a little late to the game and so we weren’t able to get dinner reservations at some of the restaurants we wanted to try, like Kouzzina by Cat Cora (on Disney’s BoardWalk), California Grill (in the Contemporary Hotel) and Teppan Edo (in the Japan pavilion in Epcot). When making your reservation, be sure to tell them about your food restriction. 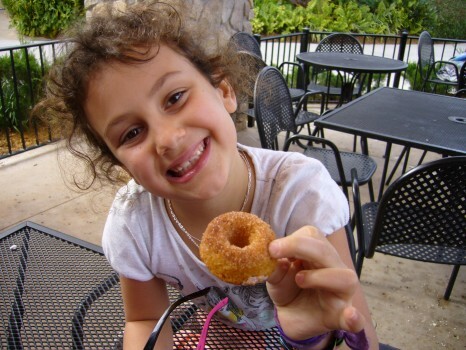 Upon arriving at all of the restaurants we had booked in advance, the host was aware of Lily’s “gluten allergy” (people seemed to get it more when we said she had a gluten allergy as opposed to celiac disease) and the chef came to our table to go over the gluten-free options. I can’t tell you how much we appreciated the attention and concern from the chefs and waitstaff about Lily’s gluten allergy. We stayed at the Beach Club Resort, which is walking distance to Epcot and the BoardWalk and a short boat ride to Hollywood Studios. The staff were very accommodating when it came to Lily’s gluten-free diet. We had two meals at the Captain’s Grille (in the Yacht Club Resort, which is attached to the Beach Club). While the food wasn’t anything to write home about, the chef was super friendly and went out of his way to make a gluten-free pizza for Lily when the crust wasn’t readily available. 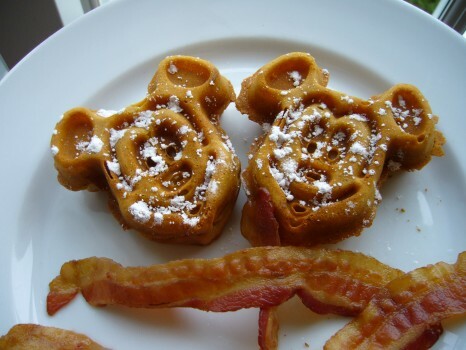 We had breakfast at Cape May Cafe—with Minnie, Goofy and Donald—where Lily enjoyed her Mickey Mouse waffles. 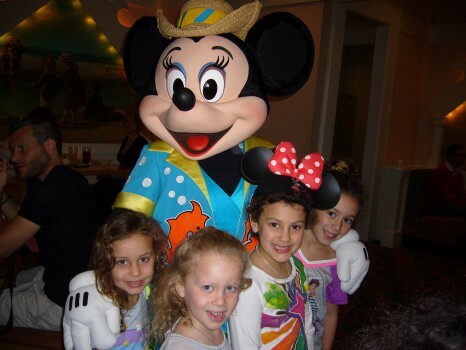 Breakfast with Minnie at Cape May Cafe! Our other dining experiences worth mentioning: Shula’s Steak House in the Swan and Dolphin Hotel. Lily had a steak, mashed potatoes and broccoli. 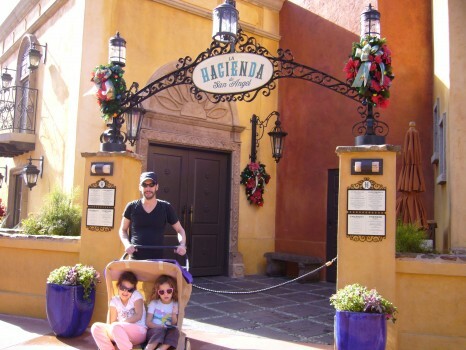 And, my favourite restaurant that I most highly recommend: La Hacienda de San Angel at the Mexican pavilion in Epcot. The gluten-free offerings here were so plentiful that our waitress knew the drill (no need for the chef to make an appearance). I suspect this is a popular place for the gluten-free crowd. All of the house-made tortillas are made from corn and the salsas and guacamole (always a hit!) are naturally gluten free. Lily had the chicken tacos and scarfed them up! Ice cream was the go-to dessert at most places. House-made corn tortillas and guacamole made Lily a very happy mouseketeer! 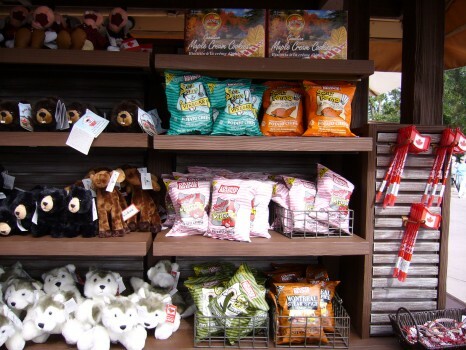 Covered Bridge chips at the Canada pavilion in Epcot! Mmmm…dill pickle. Was this an oasis at Pollo Campero in Downtown Disney? 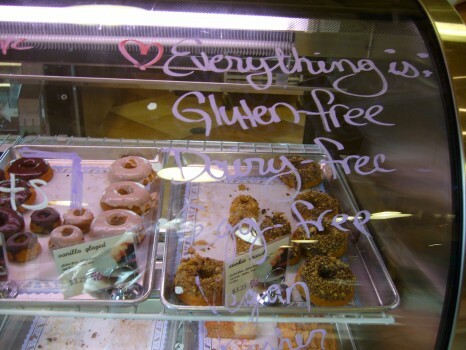 Pinch me…everything is gluten free! 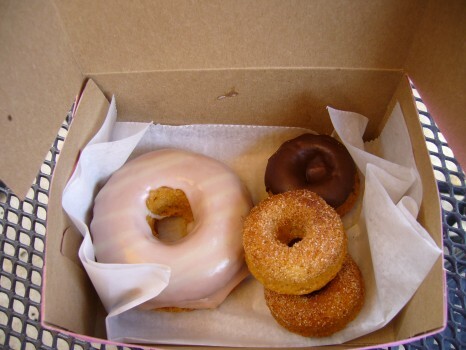 Happiness is…a gluten-free mini cinnamon donut. 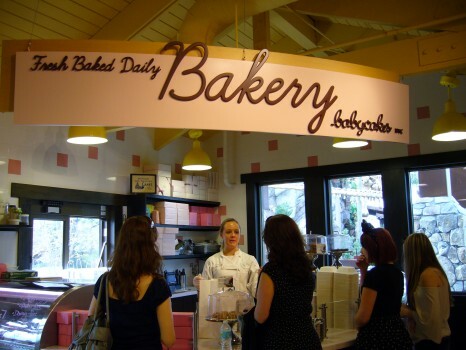 Posted in Bakeries we ❤, Happiness is..., Lily's corner, Products we ❤, Restaurants we ❤, Tummy love.